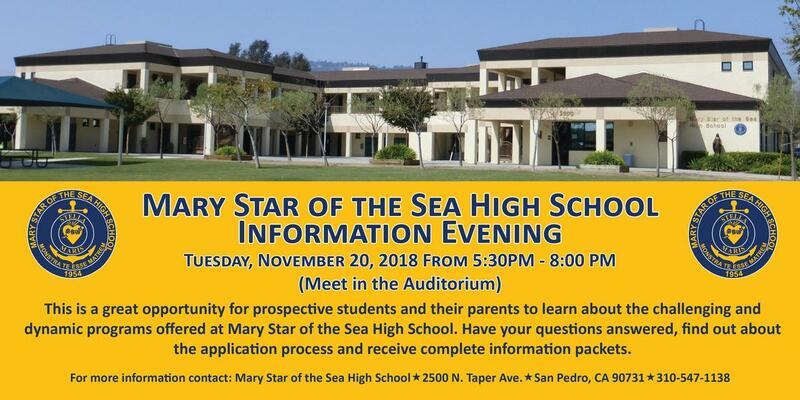 This is a great opportunity for prospective students and their parents to learn about the challenging and dynamic programs offered at Mary Star of the Sea High School. 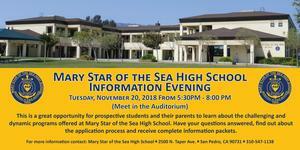 Come meet the faculty and students to have your questions answered, discuss course offerings with our teachers, learn about our athletic programs and find out about the application process. Come shine with us! Hope to see you on our campus.